Support the heritage awareness campaign and look fresh at the same time. One of Bucharest most fascinating historical monuments screen-printed with care and zest by Octav Avramescu during the Paint-a-monument workshop. This t-shirt has a distinct look because of the printing method and irregularities are desired effects to give each item its own character. 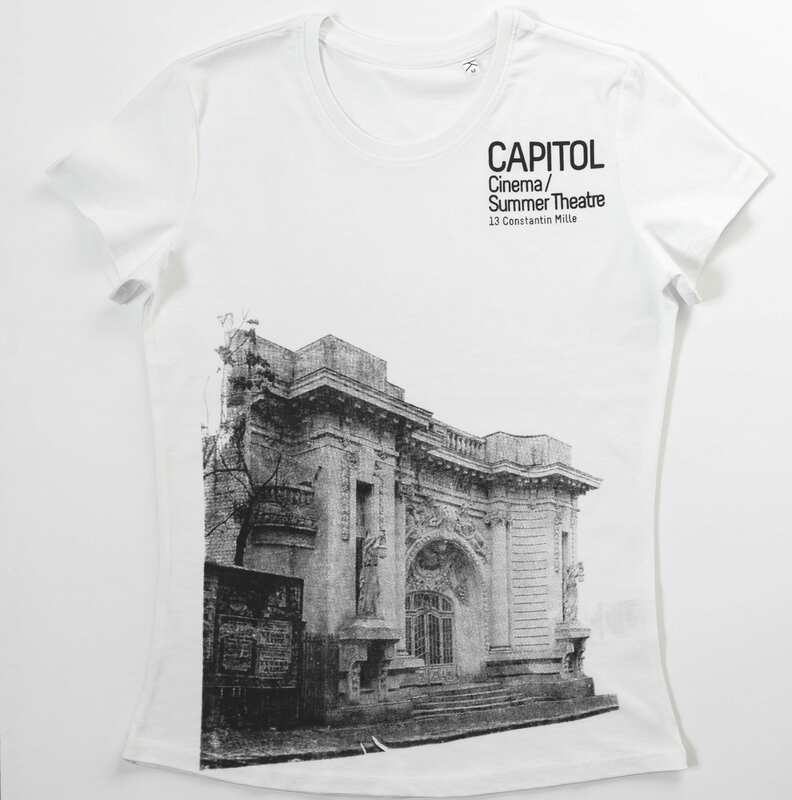 In 2017-2018, Save or Cancel proposes a cultural heritage awareness and sensitization campaign, with an application on Capitol Cinema / Summer Theatre, revealing the economic, social and educational potential of all abandoned cultural spaces in Romania, and the involvement of artists and the local community in trans-sectorial, multi-disciplinary, collaborative projects.